Toptal is very pleased to sponsor this major developer event taking place in South Carolina, June 6-8. The conference brings together a diverse group of developers, both established and new, to discuss ideas, collaborate, network and socialize. 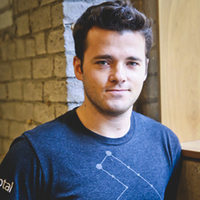 Toptal’s North American Community Lead, Ethan Brooks, will be a featured speaker, presenting a talk titled How to Set a D.A.M.N. Goal – Learning Quickly in Times of Change. Join Ethan if you want to explore a key framework for absorbing new skills an information quickly, and see how it can be applied to learning in order to speed skill acquisition, align key stakeholders, and increase the chances of project success. Ethan’s talk takes place at North Charleston Marriott on June 7, 8:40 am. For more information and to purchase tickets, please see the event website.